There is no shortage of lock screen launcher tweaks in Cydia, but each one brings its own style and functionality. 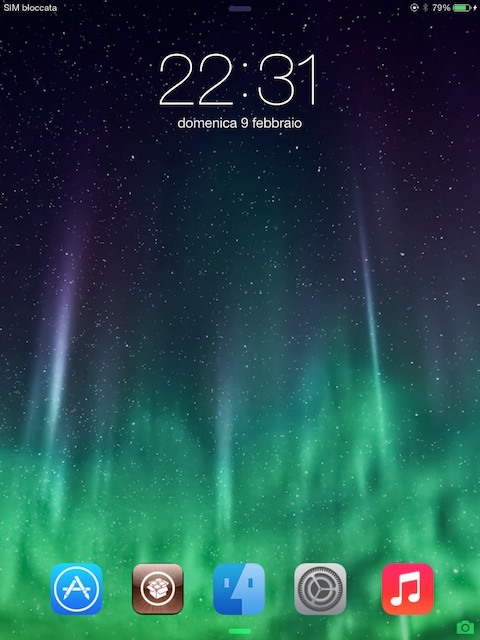 LockLaunch7 is a new tweak that is just about as simple as launchers can be. This tweak adds up to five app shortcuts to the bottom of the lock screen. Once installed, you'll have the ability to specify custom app shortcuts and enable/disable the tweak. LockLaunch7 will allow you to launch any app from the lock screen, but if you have a passcode set, there's one small inconvenience involved. You'll need to enter your passcode before the device will unlock and launch the app. Unfortunately, there's no way around this inconvenience at the moment, but the developer says that a fix may be added in the next update. Until then, you'll have to deal with it or pass on LockLaunch7. The good news is, this tweak is compatible with iPhone, iPad, and iPod touch. If you'd like to purchase LockLaunch7, it's available for $1.99 from the BigBoss repository. In my opinion, you're better off purchasing a tweak like Swipey, but there's no denying the simplicity that LockLaunch7 offers. For more jailbreak news, check out: Gone But Not Forgotten: New Jailbreak Tweak Brings Skins To Flappy Bird, Add A Splash Of Color To Badge Notifications With ColorBadges, Add A Colored Tint To The iOS User Interface With UIColors.